Milan - Welcome to Milan, the City of Fashion! 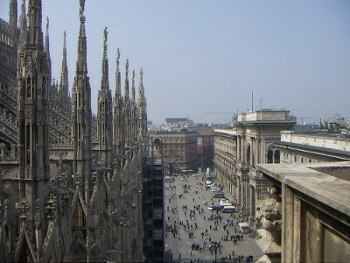 Milan is one of the bigger cities of Italy, the second one after Rome. Milan is the economic capital of Italy: the city host's the Italian Stock Exchange and in its hinterland you can find the bigger industries of the country. Milan is known all around the world for its fashion and design: the city is famous for its fashion houses and shops that you can find in famous streets as Via Montenapoleone and in the Gallerie Vittorio Emanuele. Aside from the Milanese culture of love, art, high fashion, and delicious gourmet, there are many world famous attractions that bring so many travellers into Milan. The symbol of Milan is the "Duomo" the Milanese Gothic cathedral placed in the heart of the city, one of the most beautiful churches all around the world. 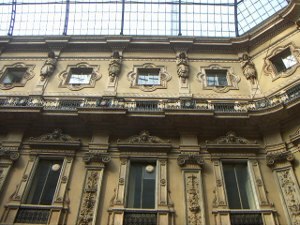 Milan has a rich culture and history, due to the different variety of occupants and conquest that it has suffered during the years with the Spanish, French and Austrian. Stroll through the streets of Milan, and you will find yourself indulged in Milanese culture. 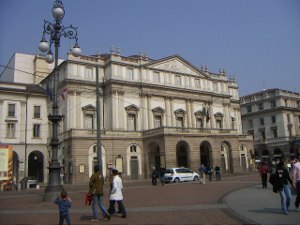 Milan is famous for its lifestyle, night-life, as a paradise for shopping and Opera: in Milan you can admire the famous Italian theatre La Scala the temple of opera. The theatrical season of La Scala is the most important event in the cultural life of Milan and there you can see ballets, operas and classical music concerts. To visit all the most important attractions of Milan, stay in a convenient location allowing easy access within the city. 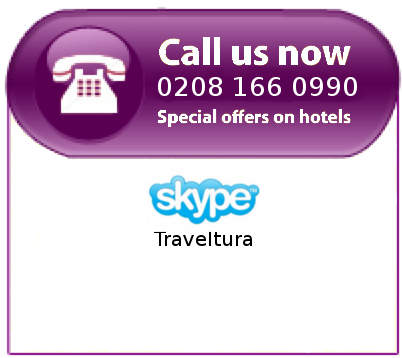 Gift-Tours offers various accommodation choices in locations all throughout Milan. Stay in any area of Milan with the choice a large variety of low budget hostels and hotels to up scale hotels, apartments and studios. With so much to do and see, why not save some time worrying about your next move and plan your travels ahead of time with Gift-Tours! Gift-Tours offers everything you will need for your travel in Milan including accommodation, transportation, tours, and just quality information for our travellers. For more information about accommodation in Milan, please search for the perfect accommodation through our search engines, submit an enquiry with, or contact us!